When it comes to internet videos, stand-up comedy tops the list of fan favorites, from famous faces to noteworthy venues across the country. 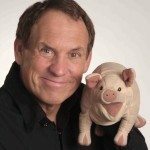 Whether you missed your best-loved comic’s last show, or you are just looking for a laugh to brighten your day. The internet is a haven for funny men and women worldwide to bring their success and your entertainment right into the palm of your hand, allowing them to reach their widest, most receptive audience. One of the most well-liked of these is Mr. Punchline Scott Wood, a California native with a knack for sharp, witty one-liners and hilarious vocal impressions of well-known celebrities. A long, comprehensive career in comedy is second only to his excellent reputation, a spot-on sense of humor, and the endless love of fans across the globe. If you are searching for a chuckle, these popular Scott Wood Comedy Videos are sure to deliver! This video puts a lighthearted spin on something that we’ve all had to deal with at one point or another – the police. From obnoxious rhetorical questions when getting pulled over to poking fun at bicycle cops on the beach, this bit serves to reiterate the relatability of Scott Wood’s work. If you’ve ever gone through a drive-thru and wondered what you were ordering, who was taking your order, what was in what you’re eating. What’s going to happen when you’ve digested it (or if you know the answers to these questions already), this routine is bound to make you laugh out loud. This bit is a fantastic homage to the comic’s uncanny ability to mimic the voices of famous people. From world-renowned politicians to your favorite actor, this is bound to be one of the most popular Scott Wood Comedy Videos as it truly shows the hilarity of his vocal versatility. Buying a car can be a ridiculously stressful process, and no one knows that better than Scott, who is somehow able to make you giggle through the frequently costly process. Ever wonder how and why cars got their particular names? This comedian has a few theories on what those names could mean. 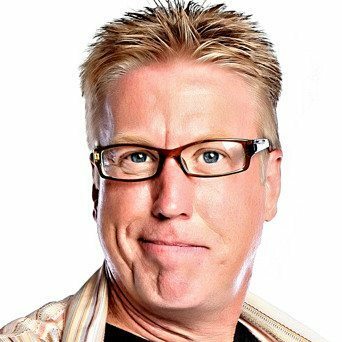 These popular Scott Wood Comedy Videos are just a sampling of this clean comedian’s talent, showcasing a career that has spanned years and touched the hearts of everyone who has witnessed it. His jocularity, professionalism, and ability to make human connections with the audience make him a rarity, and he is certainly a performer that is not to be missed!